"Crow Dog" via Wikimedia Commons. I said in my last post there was a mystery surrounding the life of One Who Walks with the Stars, the Lakota woman who killed two of Custer's men at Little Big Horn. Here it is: whenever One Who Walks with the Stars is discussed, she's invariably referred to as Crow Dog's wife. Crow Dog is the guy in the photograph, a fairly well-known minor chief of the Lakota, who turns up at most of the major events in their history throughout the second half of the nineteenth century. There is even a supreme court decision named after him, Ex parte Crow Dog. It's an interesting case which must have displeased Crow Dog in more ways than I have space to mention right now, but it offers rare insight into the life of his wife: there is a complaint that she was not allowed to testify on his behalf in court. This is the point. If I want to learn about the little-documented life of One Who Walks with the Stars, I could follow the career of her more famous husband and it would give me an idea of where she was and what might be happening to her. 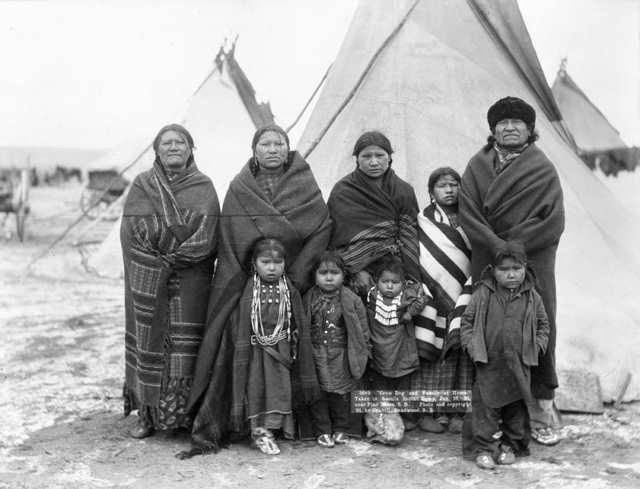 It might even provide me with photographs of the Crow Dog family, like this one. Taken in 1890, by Grabill. Based on the 1887 census* for Crow Dog's family the photograph may include Cooks the Pot (52), Leaves Her Rock (45), Ugly Woman (23, an adult daughter), either White Woman or Lightning (both 8-9), Crow Dog (57), Log (5) and other younger children not recorded in 1887. Then again, it may not. Taken in 1890, in the aftermath of Wounded Knee. This photograph appears to show the same family, plus a couple of extra children, possibly Lightning as well as White Woman this time (8-9) and Thunder Comes Out (13). According to my second hand report of the 1887 census Crow Dog's family then consisted of himself, two wives, one adult daughter, three daughters aged between 13 and 5 and four sons aged between 12 and 2. That child would have been 5 when this photograph was taken. It would seem that Crow Dog's 1st wife was deceased by 1887*. Now, here is the problem. Although every source on One Who Walks with the Stars says she was Crow Dog's wife, pretty much every source I've found on Crow Dog says his wives were Good Home, Cook Her (or Cooks the Pot or possibly Catches Her) and one other, given in the 1887 census* as Leaves Her Rock, though I've also seen Jumping Elk mentioned. One name which never comes up is One Who Walks with the Stars. Actually, not quite never. I've found one note which says she was the first wife of Jerome Crow Dog, Crow Dog's eldest son, who was born c.1853. Here is a quote which may attest to the confusion between the two men... at any rate, it attests to confusion. 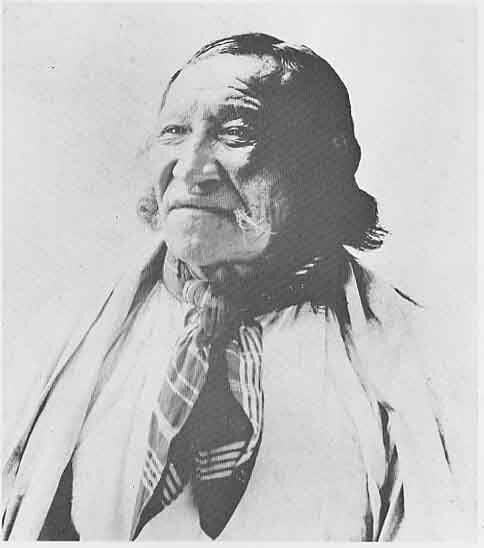 According to Leonard**, Crow Dog took the name Kangi Shunka Manitou after his first fight with enemies. It means Crow Coyote, not Crow Dog, but an interpreter translated it wrongly and the name stuck. Later at the reservation a census taker gave him the Christian name Jerome, so he´s also known as Jerome Crow Dog in official records. It does seem clear that by the later 19th century, 'Crow Dog' was functioning like a European family name, so you find lots of people called 'Mary Crow Dog', 'Alexander Crow Dog'. They may be Crow Dog's descendents or spouses of his descendents. Contemporaries of Crow Dog's eldest son(s), like the men who told the story of Walks with the Stars to Miller in the mid-20th century, may have got used to referring to them simply as Crow Dog by then. At any rate the answer to the mystery makes a difference as far as One Who Walks with the Stars is concerned. Imagine you want to write the story of her engagement at Little Big Horn. 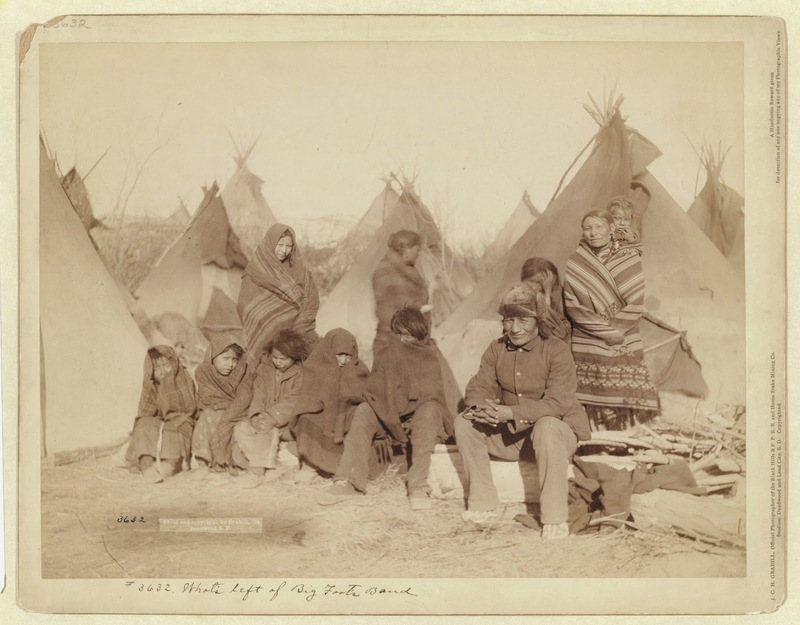 On the one hand, you have Crow Dog's wife, probably born before 1840, a mature woman with adult children and little ones to worry about on the field of battle, on the other, his newly married daughter-in-law, probably under 20 and perhaps still childless. I expect only the census* can shed light on this matter and even then, without recorded births and deaths, with name changes and varying translations, it may not be easy. *The 1887 census for Rosebud can be viewed here. Crow Dog was in the Brule #2 band, under the letter C.
**This refers to Leonard Crow Dog, author of Crow Dog: Four Generations of Sioux Medicine Men, and a great-grandson or possibly great-great grandson of the Crow Dog in the photographs. - Most of my original leads come from this page. There are still several things here which I haven't tracked down to source. Note: if I find out any of the information in this page is wrong (very likely) I will update it.